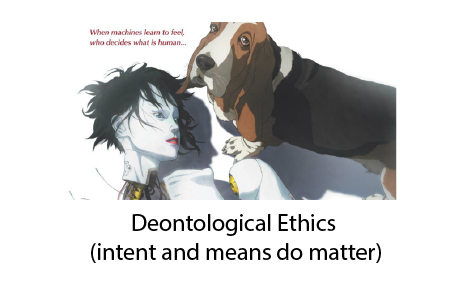 Blog What is deontological ethics? I wish to write about being a good person because in the wake of Memorial Day, I am reminded of those who died doing their duty, despite what you may think about the underlying reasons for their deployments. This blog will turn on a Facebook post, a cyberpunk movie, and a dinner I just had with four bright young men. I was thinking about a provocative Facebook post that asserted, “OBSERVATION: If you do as you say 7 times out of 10, that doesn’t make you 70% reliable. It makes you 100% unreliable.” I thought of how this could be applied from keeping a date, to taking a standardized test, sinking a putt from 10 feet, to landing a passenger aircraft safely. Clearly, if you say you are going to do something, your intention and the probability of it occurring are significant details. For example, if you break a date 3 of 10 times, you are a flake. If you answer 7 of 10 questions right, they give you an advanced professional degree or you move up a grade, if you sink 7 of 10 putts from 10 feet, you are one of the four best putters on the planet, and if you are a pilot who crashes your plane 30% of the time, you are already dead. I am a fan of the Japanese cyperpunk genre because it explores themes of philosophy, humanity, and ethics. I recently was struck by the plot of the remake of Ghost in the Shell (SPOILER ALERT) where they illegally kidnapped and then ripped the brains out of 98 kids before the 99th, Major Motoko, took to its cybernetic shell, forming a transhuman supersoldier with a conscience that could be manipulated by a false memory implanted by the corporate/police state controllers and memories that could be rewritten by handlers. See this episode of the sci-fi show, Black Mirror, for a rather deft treatment of this themes. The thing that touched me was how the human doctor/mother/scientist (played by Juliet Binoche) that “birthed” her sacrificed her own life to disclose Motoko’s true origin because the latter was going to be murdered by the corporation that had lost control of the rogue warrior. The movie takes a hard stance on the issue of memory and identity saying, “We cling to memories as if they define us, but they don’t. What we do is what defines us.” Right before the villain murders Juliet Binoche’s character for helping Motoko he says, “That’s the problem with the human heart” suggesting that she should have let the ends justify the means and just stayed loyal to the company, not to the perceived “person” remaining the body that was created and owned by the corporation. This leads us to our final aspect of morality discussed at tonight’s dinner: the human heart. I was dining with my son and three of his close friends for my third annual “have dad pack for the summer” fest at Phillips Andover. Thanks to sleep deprivation and the impetuosity of youth, we got into a lively discussion of philosophy, social justice, jobs, and politics. 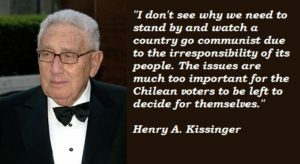 I was interested to hear the high praise for the life of Henry Kissenger, who in my mind, is the quintessential example of excellence and ambition in the service of an end, whatever the Realpolitik means might have entailed. 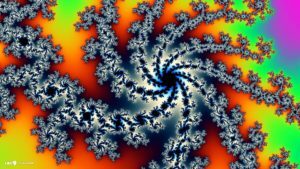 So what is it to be a good person fractally from scale of each breath, thought, action, accomplishment, life, and legacy? I think it can be summed up in one word that philosopher Emmanuel Kant used: DEONTOLOGY. In the case of not allowing an innocent, already victimized decorpitated brain/cyborg to be used and discarded, the scientist could not ignore her duty to her heart to stay loyal and prevent what she considered to be ruthless murder of a loved one. In the case of ruling effectively according to an agenda, Kissenger showed us that the person who defines duty from an intellectual and not a heart or feeling-based center is capable of wielding great influence. The story he weaved about international Capitalism versus Communism was indeed the defining one of the previous one hundred years. So it is vital to ask what is my duty? Is it to self, to dogma, to affinity groups with whom I identify, or instead to a larger human endeavor? If we are working to divide, darken, and conquer the world then we are driven by a fear of losing control. But if we work to unite, enlighten, and nurture the world then we are aligned with a heart-based network of souls intent upon creating a more peaceful world soul. The Major: For someone who doesn’t like people, how come you care about dogs so much? Batou: I don’t know. I like just strays and they like me. The Major: They like you because you feed them. Batou: You got no heart. By the end of the movie, Major Motoko found her raison d’être after meeting and partially remembering her biological mother and also accepting that the murder of her former self by the corporation that created her. The heroine at the new, higher level of consciousness, decides that despite technically being a psychopath with no heart, she will devote herself to the idea that “HUMANITY IS OUR VIRTUE.” She decided that her policeman’s slogan of “to serve and protect” was the true and devout purpose of a rational and still ethical being.